Veranda's Finest!! Located in the most quiet location in the complex, meticulously maintained, shows great!! Upgrades: "GENUINE HARDWOOD Floors in Living/Dining areas; new gleaming LAMINATED Floors in Kitchen and FAMRM. Features 3 BDRMS UP , 2F Bath; POWDER room on Main + HUGE 12'x10' GAMES/FLEX / 4th BDRM at basement "with " ROUGH-IN plumbing for bathroom. 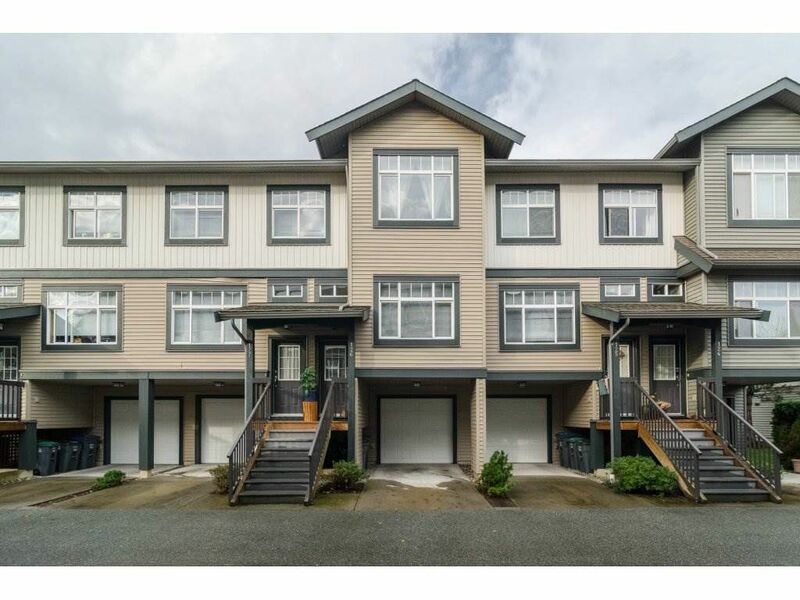 Family oriented complex, walk to Elem school, near Secondary Schl. Steps to 2 BUS stops. Mins to Guildford, Fleetwood Recreation Center. all amenities! !